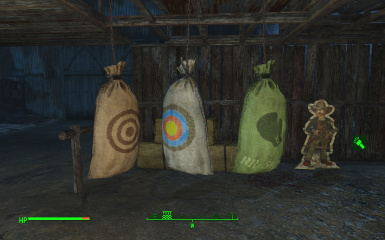 A set of settlement animation markers and a "Target Practice" set for settlers that allows to build a shooting range. Added: some kids markers, Tarberry plantation, schedules for settlers, assignable dancers, grass plots, movable sleeping bags and other features. Longfellow's Cabin Little Village If you want see your settlers, somethimes, swim, sit, relax. Somerville Place Little Place If you want see your settlers, somethimes, swim, sit, relax. Chuksteel and Yakalrad are helping me with console porting. They authorized to upload the mod on Bethesda.net. Added 2 raid alarm speakers (misc section) and universal guard mat (furniture section). The speakers are used to mark a safe place to stay during an attack. 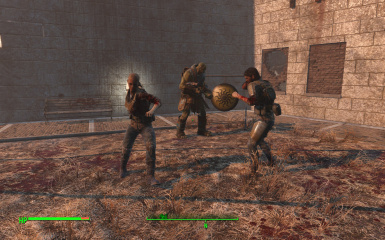 All settlers that count for population apart from guards will gather around them. The universal guard mat is a guard post that works for any race ( humans, super mutants, robots etc) . Added one more customizable schedule, please check 'A1 Efficient Schedule' holotape. 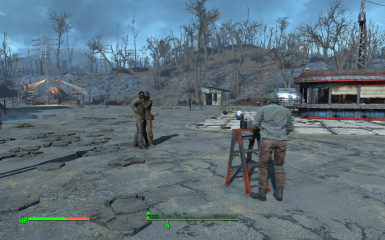 Added Hugs marker - the marker works differently than others, every 2 game hours it picks a random couple and they have a date with hugs :) (only one per settlement). Added photographer guard furniture. They look nice together - photographer and hugging settlers, just like they came to make a family photo. Removed protected flag from schedules. Only left it for fighters. 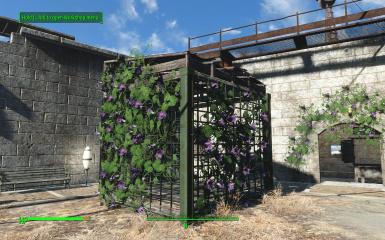 It will make your settlers use their original settings (protected for vanilla or mortal if you use any mortal settlers mod). 2. Schedule Dispatcher. Dispatches/removes schedules to/from different settler groups in your current settlement location. Whatever dispatch option you choose, it will only look for settlers who don't have a custom schedule yet. So to replace schedules in their inventory you have to use the 'remove' option first. 3. Removed happiness bonus from some invisible mats. The bonus was there because I copied values from vanilla bar stand. But the bonus does not work properly on invisible/disabled objects so there was no point to keep it. Instead I added a few more happiness points to the school desk. Added missing animation files for 1.5 version. 3 Some relaxation furniture and other items. 5 Alternative Fighter mats (barman). 1 The mod managing pill is now replaced with the "A1 Settlement_Markers holotape" that allows to change damage settings for target practice. 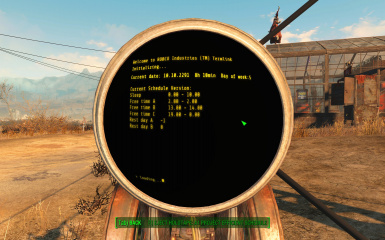 2 Auto installation of the menu in a new game will only run after leaving the vault 111 location. You will also automatically receive the holotape. 3 Added "Electric Bells" (misc section). 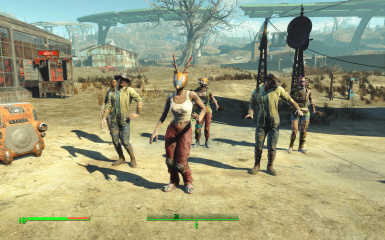 You can set a group of settlers you want to summon (unemployed, scavengers, kids etc) and sound. 5 Fixed collision for the box standing furniture. Some fixes for the quest priority that could make fighters ignore their task. 7 Some guards furniture now is available for scavengers too. Auto installation of the menu. Improved schedules, garden section ( flora decorations, snappable water, grass and dirt plots etc), several stone floors for swimming pools, a half foundation. The water allows to create Tarberry plantations. Some furniture and mats for kids, several guard jobs. 1 Assignable dancers and assignable newspaper seller (bar vendor and misc vendor). 2 Assignable target practice mats in different version ( shoot/melee: guards, vendors and scavengers). They can be used as relaxation mats too, just don`t assign anyone to them in this case. 4 Invisible target cards (only visible in workshop mode) and an invisible pylon to attach target cards to. 5 No more limits for any Target Card mats. Please note, this only goes for Target Card mats. 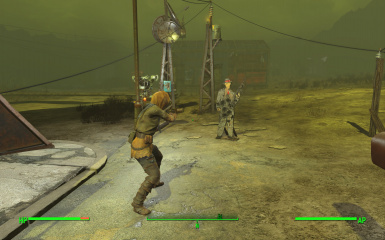 This means that you can build the same version of these mats and targets in the same settlement without any limits. You also can use only 1 target for multiple mats of the same type. Please note , that if you build many targets, each settler will choose the closest target ( to the current mat) to shoot at. 6 Firing Toggle and Pulse still have limits and it`s unlikely to be changed ever ( 1 pair: marker + target per settlement/location). But now you can build Score Boxes for them. Score Boxes will show settlers scores. Firing targets have to be powered for this to work. Score Boxes don`t have to be powered , but if powered they will provide gifts. The chance to receive a gift depends on settler`s scores and some other things. Settlers can improve their specials , they also receive a special token in this case and on of the vanilla bandanas. If you don`t want this option, just don`t power Score Boxes. Score Boxes has a built-in light that shows if they are powered or not. 7 Locked Door ( the door that can be locked and unlocked only by player). 8 Guard Schedules - 2 types of schedules that can be used for any guards. Find them in ChemLab - Utility Section- A1 Guard Schedules). You can read them and give to your guards. Give the schedule to your settler to make him use the schedule . Take the schedule back if you don`t want your settler to use it any more. 9 Fighting Practice Set .Only 1 set per settlement; any settlement except the Castle, the Castle has something special that makes guards wander all the time, so it`s just not the best idea to build it there. This set consists of 2 fighter markers and an optional Gong furniture. You build 2 markers (blue and red) and assign at least 1 settler to one of them. 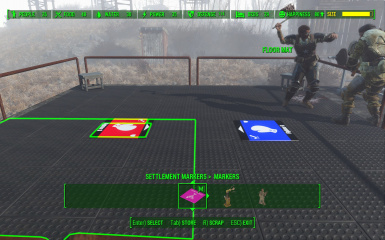 The second settler can be either assigned to the second mat or you can use the second mat as a relaxation mat so the second fighter will be random. The Gong furniture is optional. 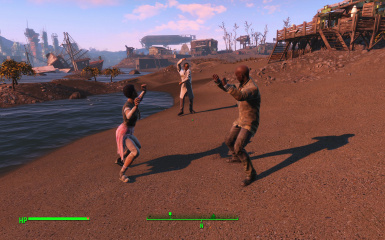 Assign a settler and he will hit the gong before every new fight. Both fighters and the gong worker will have their own schedule so there is no point to give them craftable schedules. This is fighting practice, so settlers won`t become enemies and trainee settlers won`t ever die. But note that they do real damage , so if some non protected settler will accidentally get under their fire, they can kill him. Non protected settlers = some of the named settlers. Please, read my sticky post for updating the mod from the old version. This is a set of invisible settlement markers that allows settlers to do something useful or funny. These markers are only visible while you are in the workshop mode. I tried to make them in a similar way as the awesome Akarnan`s Invisible Furniture. I included only those markers that I have not seen in other mods or that were necessary for my mod to work. Markers include "Target Practice" set for settlers (Settlement Shooting Range, Melee Practice, Assignable Dancers and other things). This mod has 2 versions now. The main version requires Contraptions DLC as it uses "firing targets" original models. There is an optional No DLC Version. Please Install only one version at a time. Version 1.7.2 - Added 2 raid alarm speakers (misc section) and universal guard mat (furniture section). The speakers are used to mark a safe place to stay during an attack. All settlers that count for population apart from guards will gather around them. The universal guard mat is a guard post that works for any race ( humans, super mutants, robots etc). Version 1.7.1 - Added one more customizable schedule, please check 'A1 Efficient Schedule' holotape. 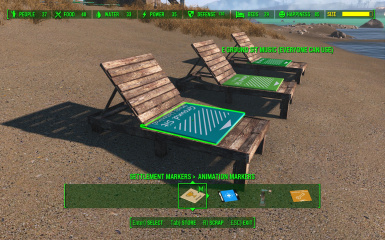 Added Hugs marker - the marker works differently than others, every 2 game hours it picks a random couple and they have a date with hugs :) (only one per settlement). Added photographer guard furniture. They look nice together - photographer and hugging settlers, just like they came to make a family photo. Version 1.7.2 (requires Contraptions DLC) - main version. 1 Attraction Marker "Leisure area". 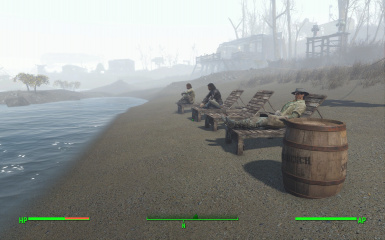 The marker is used to create a relaxation point (some place that attracts settlers the same way as any settlement bar does). 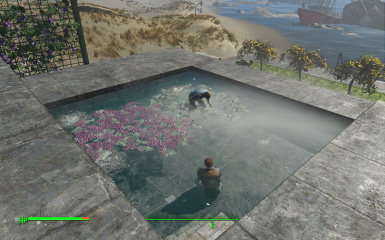 Settlers love to stay close to it in their free time. In order to see the effect place some furniture/animation markers around it. Newspaper seller, assignable dancers, Typewriter Station , Chalk Drawing, Ground Sitting, Clapping etc. Some furniture for kids and some jobs for guards. Guard posts that allow to snap an additional guard mat (to use with day/night schedules), school desk. 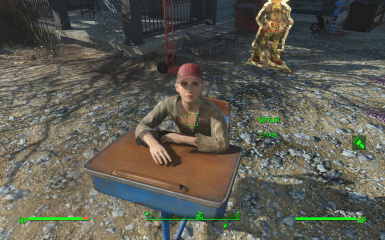 If you can`t assign kids yourself, you can put a craftable School Note(typewriter) into the desk. The the first kid who sit there, will be auto assigned to it. assigned to them. Use "Leisure Area" Mat or any relaxation object (such as a bar) to attract settlers to the relaxation mats. Most markers can be used by children and additionally there are a few markers that can be used only by children. Jogging mats work almost the same as target practice mats but with greater possible distance (5000 units). Settlers will jog between the start mat and the closest end mat. 2 Schedules for settlers - Allows you to change settler`s day pattern. 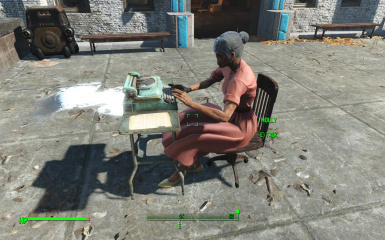 To create schedules make a typewriter (Settlement Markers - misc section). You can create, read and give a schedule to a settler. Give a schedule to a settler to make them use it. Take it back if you want them to stop using it. Allows to create day and night shift for guards and other workers. Sometimes assigning a settler to a new object can overwrite the schedule. In this case take it back and give it again. This mostly goes to caravan workers. 3 Garden section - A grass and dirt plot for plants. Flora decorations. Craftable water that allows to place and grow Tarberry. 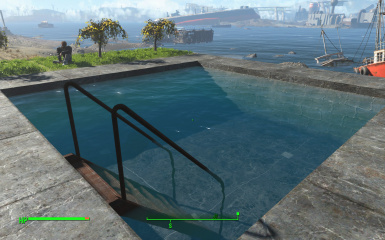 The water can be used to create swimming pools. Note that it`s just water, it does not have an undress effect. Some floors with 2-3 levels of snap points (allows to snap to the middle of the brick foundation etc). Additional snap levels work only with full size floors (or 1/2 but not 1/4). This is for creating shallow pools. Some other objects for swimming pools and gardens. 4 Misc items such as hanging bags , boxing ring , locked door or a craftable typewriter. Hanging bags can be used as a target for melee practice. Just attach an invisible target card to them. Locked door - just a door with an auto lock. Only player can open the door. Please note that the door can`t stop the settlers from teleporting. The typewriter is used to create schedules. 5 Customizable Electric Bell and Customizable "A1 Efficient schedule". The bell can be configured through a terminal. You can set a group to summon (unemployed, scavengers, kids etc) and sound to play. The schedule can be configured through a special holotape (chem lab utility "A1 Efficient Schedule holotape"). 6 Skyrim Custom Dance Animations ( great thanks for animations to Invalidfate and Umpa). There are also 3 blank records for adding more custom idle animations (.hkx files), check the Settlement Markers holotape for details. All the the animations in my mod added as new animations and don't replace any existing game files. Some of the custom animations have minor issues (like teleporting to the start point etc). This is impossible to fix with existing tools. 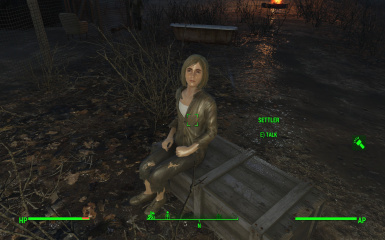 You can find them inside the 'SM workbench' barrel that can be found in the Misc section of the Settlement Markers menu. You can take these bags to your inventory, z-key and sleep. Can be used to dispatch/remove schedules in your current settlement location. To replace dispatched/given shedules you have to remove them first. The Dispatcher will only dispatch to settlers who don't have a custom schedule yet . So you can for example give schedules to guards manually. Then dispatch some schedule to provisioners and then dispatch another scedule to all other settlers using 'all settlers' option. The set contains craftable markers( shoot/melee: guards, vendors and scavengers, relaxation) and targets (firing targets, invisible target cards tc). The markers mark the place where settlers will stand while training. The arrow in each marker shows the direction settlers will face when entering this marker. Each type of markers is linked to some certain type of targets (I.e. the blue Marker for Firing Toggle will work only with the blue Firing Target Toggle etc). Read the description in the Workshop to find out what target is required for each type of marker. limited. If the distance is out of limit you`ll get a warning. 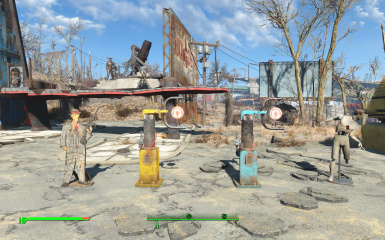 Firing Target Mats and Fighter mats are limited to 1 of each type per settlement. After reaching the limit they will disappear from the workshop menu. Target practice mats can be used by generic children, but you`ll need to equip them with some weapons. In version 1.4 you can change damage settings for target practice using the "A1 Settlement Markers" holotape. 2 Score Boxes for Firing Toggle and Pulse targets. 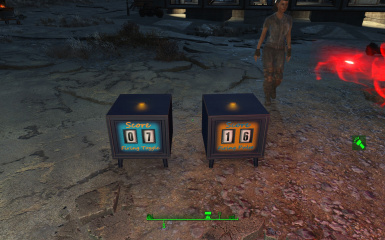 Score Boxes show current settlers scores. Firing targets have to be powered for this to work. Score Boxes don`t have to be powered, but if powered they will also give gifts. The chance to receive a gift depends on settler`s scores and some other things. Settlers can improve their specials , they`ll also receive a special token in this case and one of the vanilla bandanas. If you don`t want this option, just don`t power Score Boxes. Score Boxes have a built-in light that shows if they are powered or not. Score Boxes can be placed anywhere between the firing target and the appropriate mat or even a little bit further. My advice is to place it close to the mat as they also attract settlers. 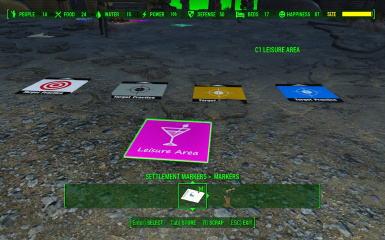 * You can place multiple leisure area markers in the same settlement. An area with more markers will attract more settlers. 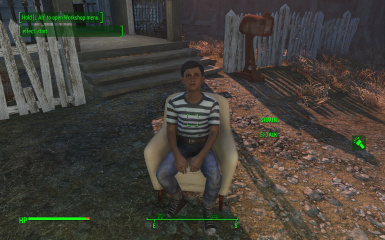 * Most markers and furniture that counts as guard posts allows a settler to be assigned to a few different work places( a settler can produce 6 defence points). For example, you can assign one settler to typing, shooting and jogging guard markers and the settler will cycle through the work places during the working day, changing the activity from time to time. The exception is the fighter mats and gong furniture. Each of them provides 6 defence and an assigned settler can't be assigned to additional guard posts. The same goes to crops markers. * Target Shooting Practice will work between 9 am and 11.45 pm. 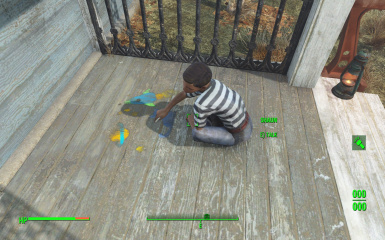 In other time settlers can still use markers as idle markers for standing. 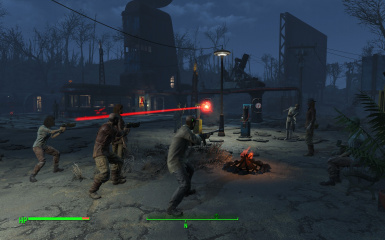 * Firing targets "toggle" and "pulse" work the same way as original Firing Targets from DLC (apart from being targets for settlers). They can be powered and connected to other objects and they will register settler`s hits. * Markers can be activated only by NPCs who have some weapons equipped in their inventory (melee/ranged). 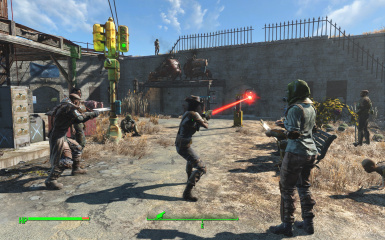 For ranged weapons settlers should have at least 1 ammo. * Markers can be used by kids if they have any equipped weapon (+ ammo) in their inventory and if their AI packages allow them to shoot(generic kids will use these markers and shoot). Only 1 set per settlement; any settlement except the Castle, the Castle has something special that makes guards wander all the time, so it`s just not the best idea to build it there. This set consists of 2 fighter markers and an optional Gong furniture. You build 2 markers (blue and red) and assign at least 1 settler to one of them. 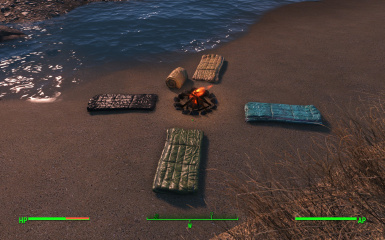 The second settler can be either assigned to the second mat or you can use the second mat as a relaxation mat so the second fighter will be random. The Gong furniture is optional. The Gong should be placed not too far from the markers. ( 2500 units = 9, 5 large floors max distance). This is fighting practice, trainee settlers won`t become enemies and won`t ever die or kill each other. But note that they do real damage , so if some non protected settler will accidentally get under their fire, they can kill him. Non protected settlers = some of the named settlers. They never restore their health and can be killed by enemies too. 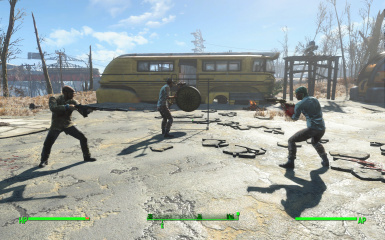 but for melee fights it`s better to put them not far from each other. Each fighter will always stay in 500 units radius from his mat during the fight. (500 units = near to 2 large floors) . You can attach target cards to most craftable items to make settlers shoot at them. Lasse1001 for helping other user and for the customazible bell idea. The mod should be compatible with any mod, it does not alter any game files and has no recipes for vanilla objects. But If you find any bugs or incompatibilities, please let me know about that. Please, before reporting a bug make sure the mod is installed properly as there were some reports about the NMM. And please note that this is my first mod and the most difficult part was preparing and uploading it here, so if everything goes well, please let me know about this too. Re-entering the Workshop or saving and loading the save can fix the problem when the Workshop doesn't update itself and doesn't show a new category. 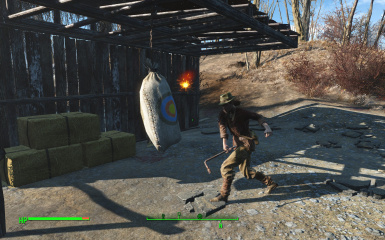 Leaving the settlement for some time and returning can help when settlers ignore markers or don`t shoot. In version 1.1 and higher there is a little chance to encounter a bug when fighters ( only fighter set ) stop to fight or do anything at all and just stand do nothing. This bug happens due to some vanilla bug with magic effects that I can`t remove now. But I have added an easy fix for this bug - either sleep for an hour or reassign fighters to their mats . Storing mats will work too. Now you can find the Settlement Markers Category in your Workshop (main menu) and start building. Important!!! Use the holotape to uninstall the workshop menu before you uninstall or disable the mod. The holotape can be always found in the Utility section of your chem lab. After uninstalling the menu, you can safely delete and disable all mod files. If you accidentally uninstalled the menu, just use the same pill/holotape to install it back. Restarting the game is not required for such cases. Please note, that if you totally uninstalled the mod( disabled in NMM), it`s better not to install it back for the same playthrough . It goes not only to this mod, but to any mod that contains scripts and scripted objects. If you accidentally disabled or uninstalled the mod and want to install it back, it`s better to load a save where the mod was still installed. This way it will be safe enough and will help to avoid possible issues. 1) Store every shooting range item. You can scrap firing toggle and pulse, you`ll have to rebuild them. It`s also better if you store other mats. 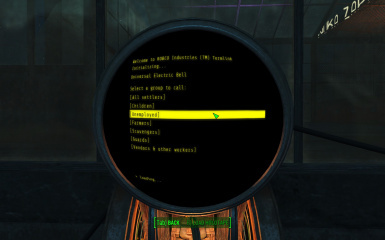 4) Start the game, use the managing Pill(Chem Lab - Utility - C1 Settlement Markers pill) to restart the quest. You need to do it only once. Enjoy! Updating version 1.1 - it`s better to store or scrap the schedules. Make a save, quit the game, install the new files (replace old files). Open the game, enjoy. Updating version 1.2 and higher - Make a save, quit the game, install the new files (replace old files). Open the game make a new save, load the new save, enjoy.